Practice mat is large enough for player to stand on it while it is in use. Rubber tee is included. If you have any questions regarding the Golf Practice Mat, please give us a call, we would be happy to help you with any questions you may have. 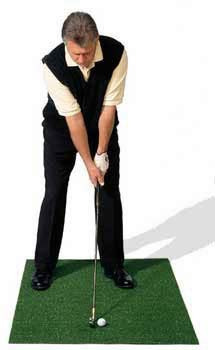 Write an online review on the Golf Practice Mat, and share your thoughts with others.